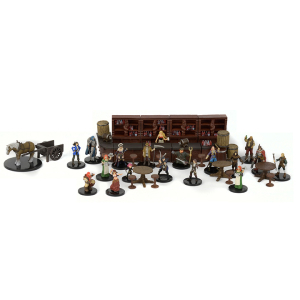 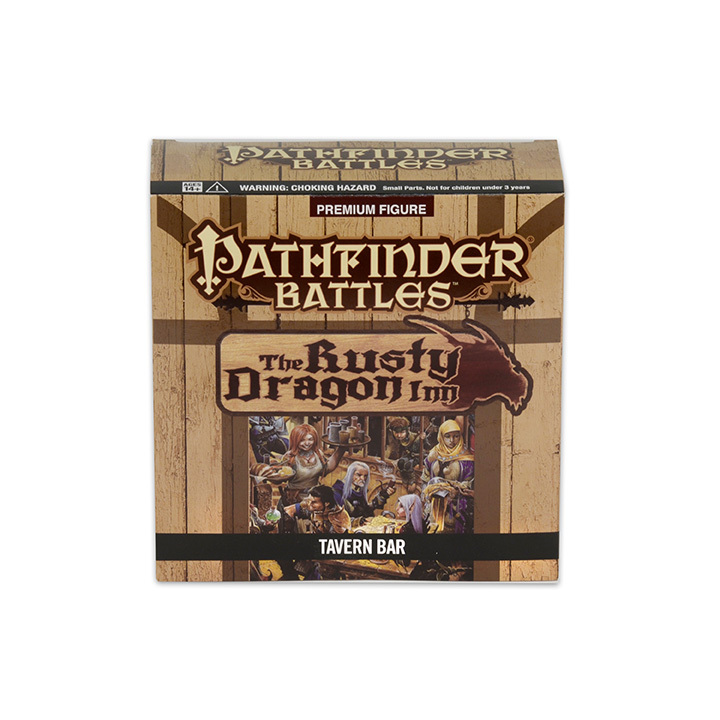 Pathfinder Battles: The Rusty Dragon Inn is the latest 51-figure set release in the award-winning Pathfinder Battles line of miniatures from Paizo Inc. and WizKids! The Rusty Dragon Inn features friends and foes from the world of Golarion, and is sure to please Pathfinder fans new and veteran alike! 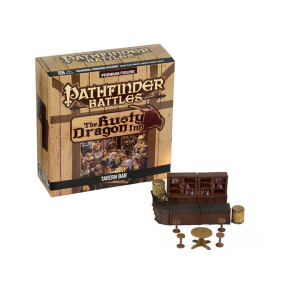 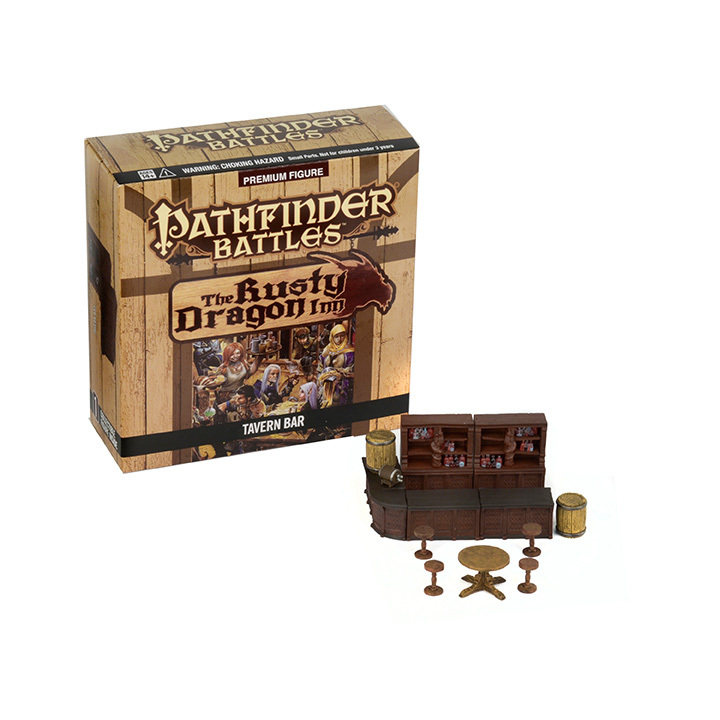 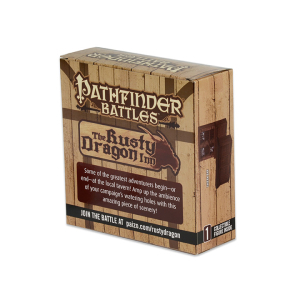 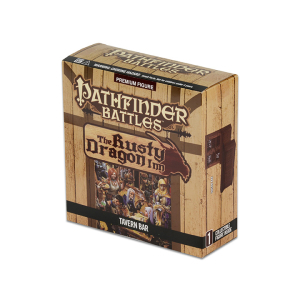 Pathfinder Battles: The Rusty Dragon Inn miniatures come in two product configurations, the Standard Booster and the Standard 8 Ct. 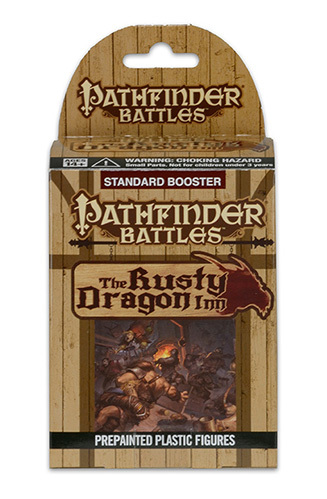 Booster Brick. 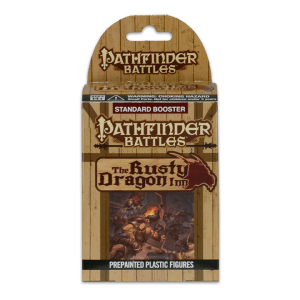 FOUR-FIGURE BOOSTERS! 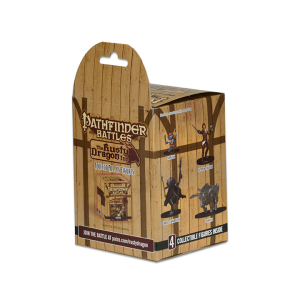 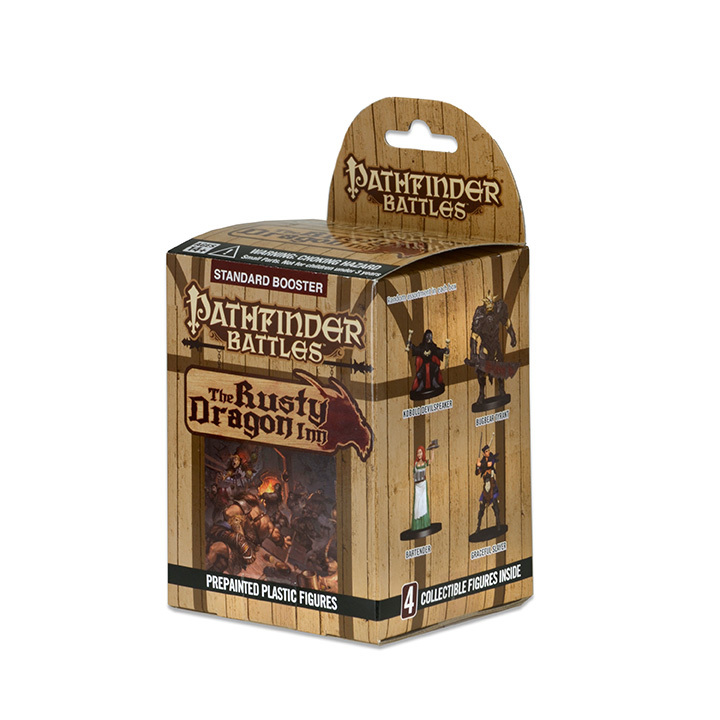 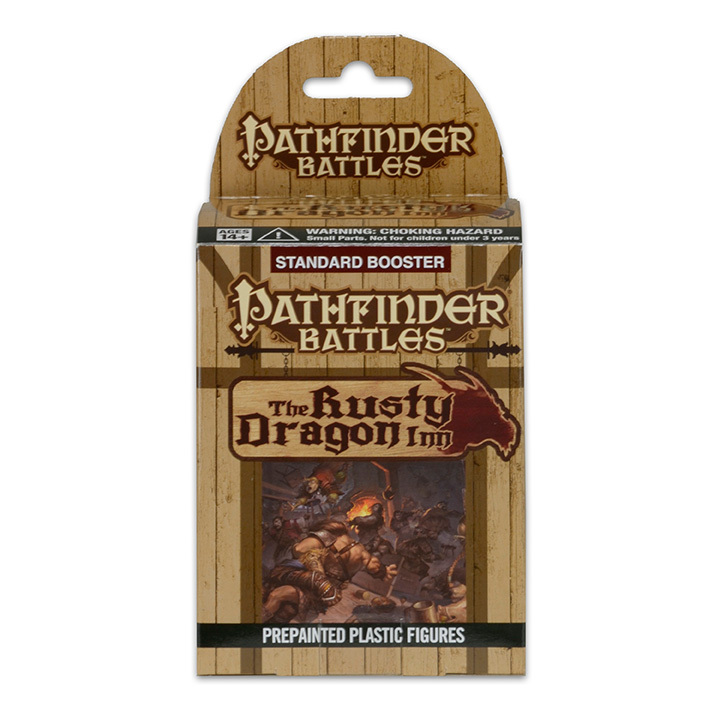 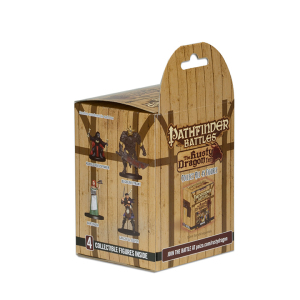 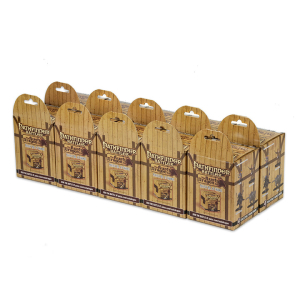 Pathfinder Battles: The Rusty Dragon Inn Standard Boosters contain 4 figures: 1 large figure and 3 small or medium figures. 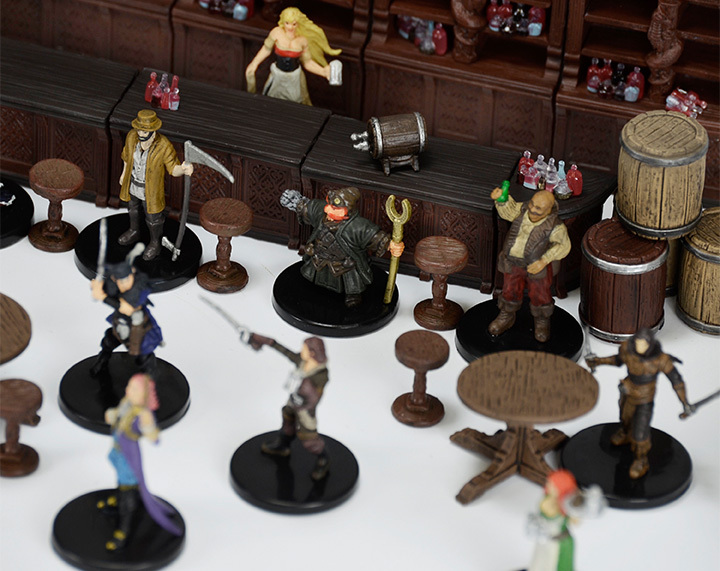 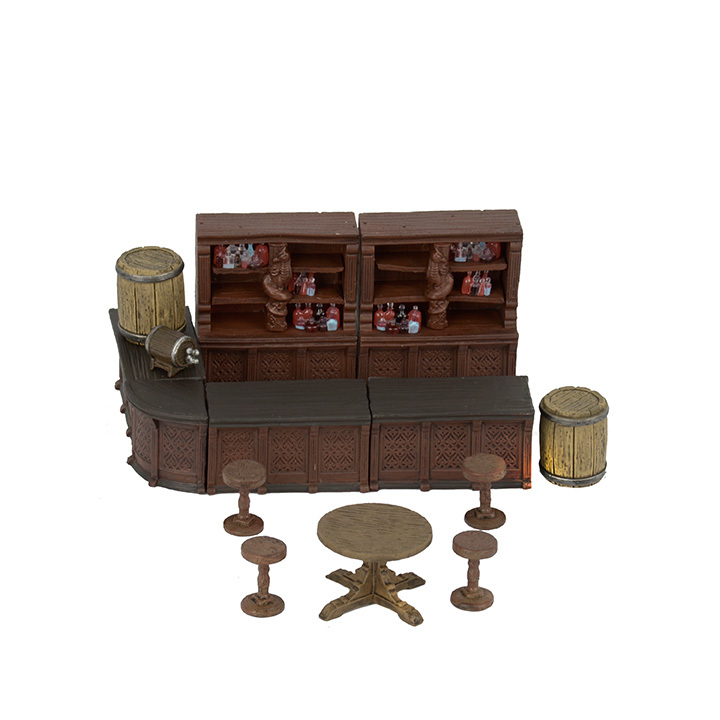 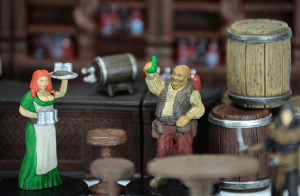 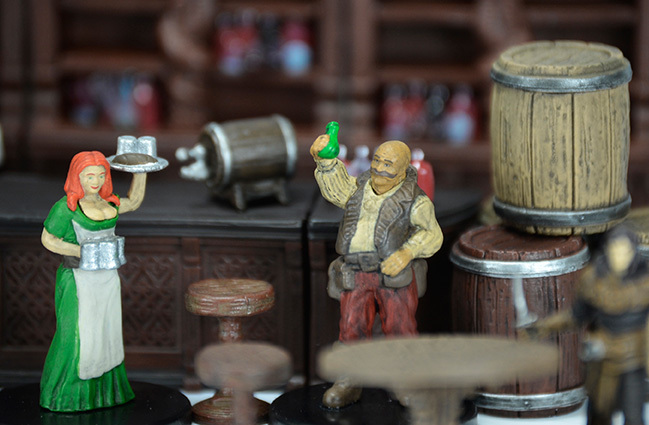 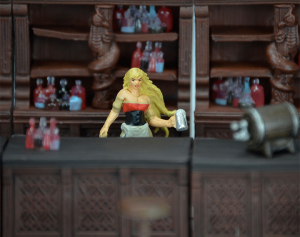 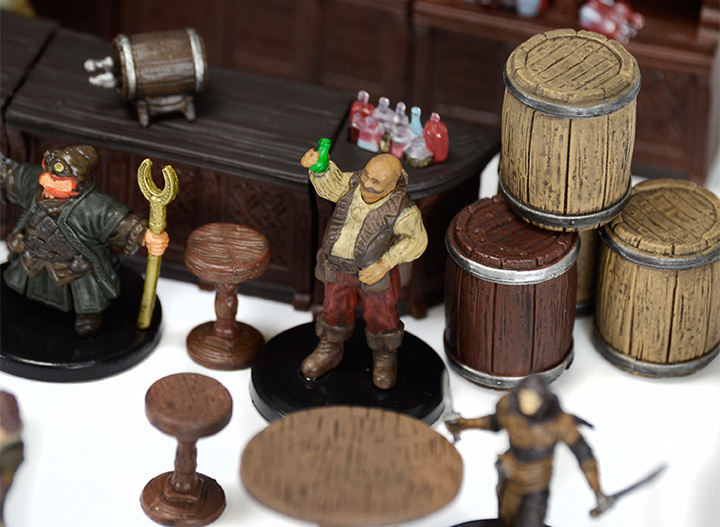 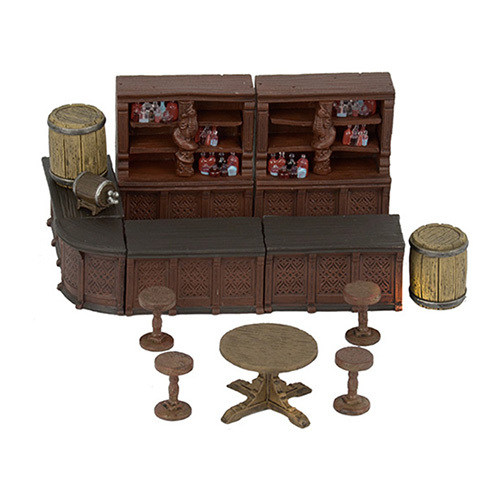 This fantastic pre-painted Rusty Dragon Bar (case incentive) stands several inches tall and towers over all of the other miniatures in the Pathfinder Battles: Rusty Dragon Inn set. 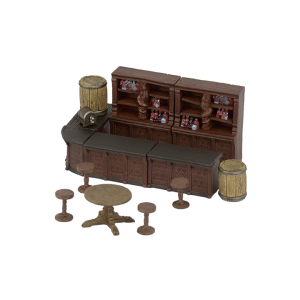 The Gargantuan Rusty Dragon Bar is a beautiful display piece as well!